What happens when you mix together a thrilling story, a sleek set, captivating orchestration, a short playing time, and a tight libretto? You get Elizabeth Cree. Elizabeth Cree is a new opera by composer Kevin Puts and librettist Mark Campbell. 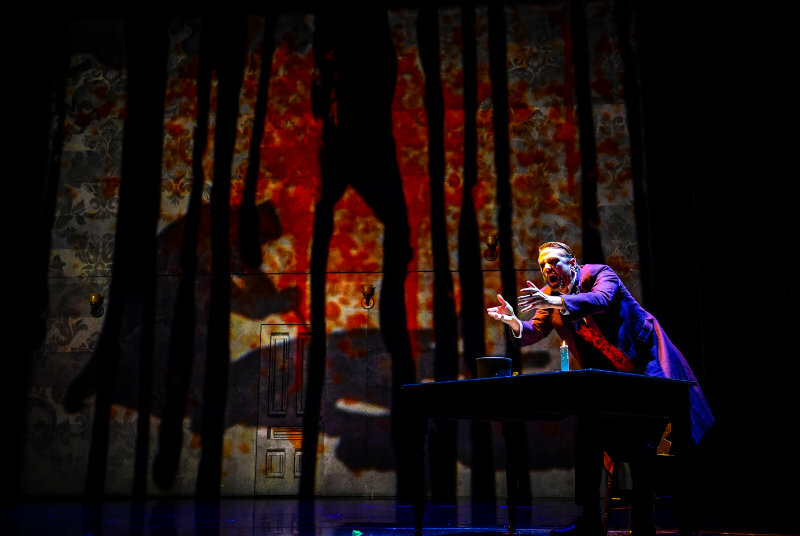 Chicago Opera Theater co-produced the work with Opera Philadelphia, which presented the world premiere of the piece earlier this season (in September 2017) to rave reviews. The 95-minute piece made up of 29 scenes without intermission is sung in English with English supertitles. To put it quite simply, the opera is a magnificent piece, an absolute triumph on all fronts. Rarely does opera do so much in so little time, but the true genius of the work is that it does so without ever becoming confusing; there are multiple story lines occurring at different times in the story simultaneously, yet never did I feel lost. The music is familiar yet fresh, and the entire gamut of emotions is explored. Never does the piece lose its momentum, nor does it ever become overwhelming. A profound understanding of balance permeates the work. 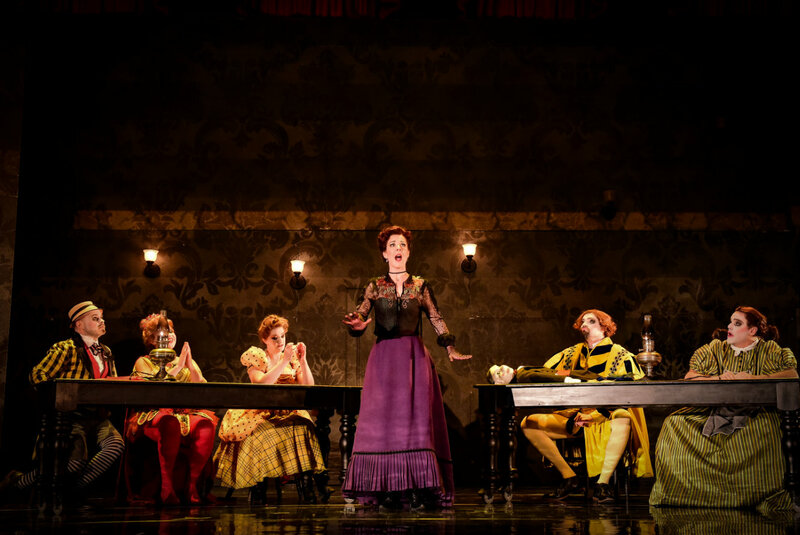 A wonderful piece can become a disaster on stage, however, if executed poorly. No description could be further from what occurred at the Studebaker Theater on Michigan Avenue on February 10, 2018. Leading the cast were Katherine Pracht as Elizabeth Cree and Christopher Burchett as her psychotic, murderous husband, John Cree. Both Katherine and Christopher are making their company debuts in Elizabeth Cree. 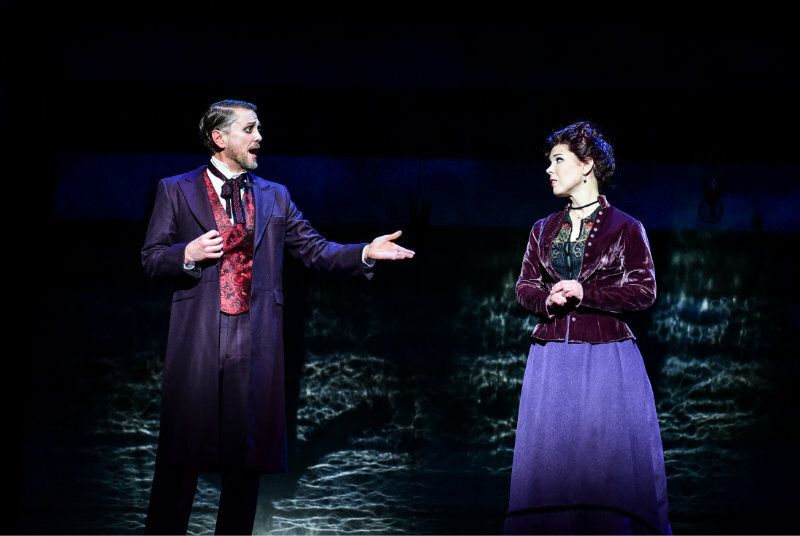 Katherine’s mezzo-soprano has a wide vibrato and a rich, chocolatey bottom, while Christopher’s baritone could not have been better suited for the role: it was sweet when it needed to be sweet, and powerful when it needed to be powerful. This role was seemingly made for him. 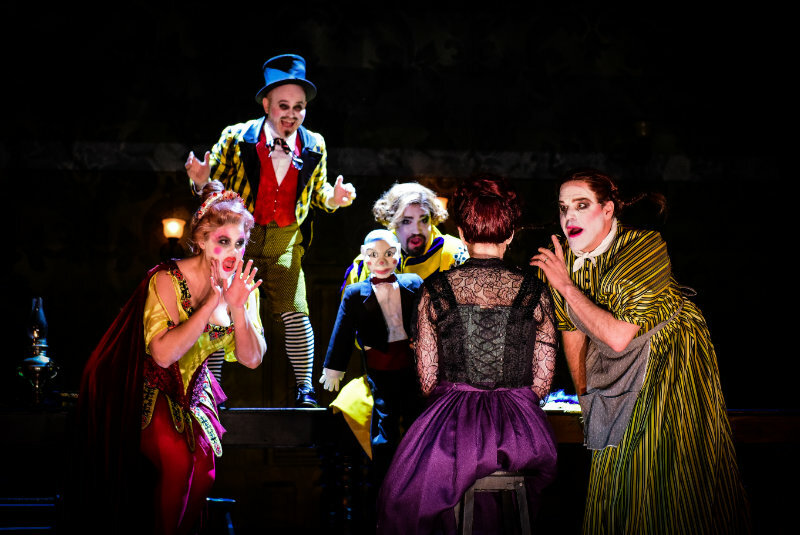 The theater troupe that takes Elizabeth in when she’s orphaned was made up of a strong cadre: Richard Troxell led the group as Dan Leno, Stacey Tappan played the flirtatious Aveline Mortimer, the “wide-eyed warbler,” Jason Ferrante played Little Victor Farrell, David Govertsen played Uncle, and Quinn Middleman, a Chicago Opera Theater Young Artist, played Doris, the Goddess of Wire-Walking. No weak links were to be found in this clique of misfits. The dubiously ambitious Inspector Kildare, charged with investigating the murders in the story (of which there are many), was played by the baritone Levi Hernandez, who is also making his company debut. This was one of my favorite roles, primarily because Levi did such a fantastic job bringing it to life. In addition to the vocal performances, the orchestra, led by conductor Geoffrey McDonald, sparkled from the first note to the last. There were times when the relatively small ensemble gave it a bit too much and covered up the singers, but this was an infrequent occurrence. As Geoffrey pointed out during the pre-opera talk an hour before curtain, Elizabeth Cree is practically a massive one movement, post-minimalist, monothematic symphony, so it is true indeed that the orchestra had a vital role to play in the work. The set and scene changes in Elizabeth Cree were seamless and fluid; I had to actively think about them in order to even notice them. The projections in John Cree’s “diary” scenes were exquisite – both haunting and beautiful. Elizabeth Cree has been polished to near perfection. You still have two more opportunities to see it. You can purchase tickets at the Chicago Opera Theater website at www.chicagooperatheater.org.